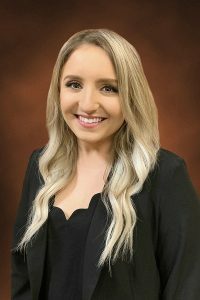 Molly Beasley – RUSH, Inc.
As Marketing Coordinator at RUSH Construction since February 2019, Molly Beasley is primarily responsible for collaborating with internal team members and external agencies to support the completion of marketing and communications projects. This includes proposals, presentations, social media content, external communications, brochure development, event management, and other marketing endeavors. Born and raised in Brevard County, Molly’s family lives nearby and they are very close. She enjoys painting and spending time with friends and family.